Earlier in the week I lamented having slept at home an unusual number of consecutive nights (six or seven). Last night I put a stop to it. I slept outside in Kitsilano and got up at dawn to watch the sunrise. 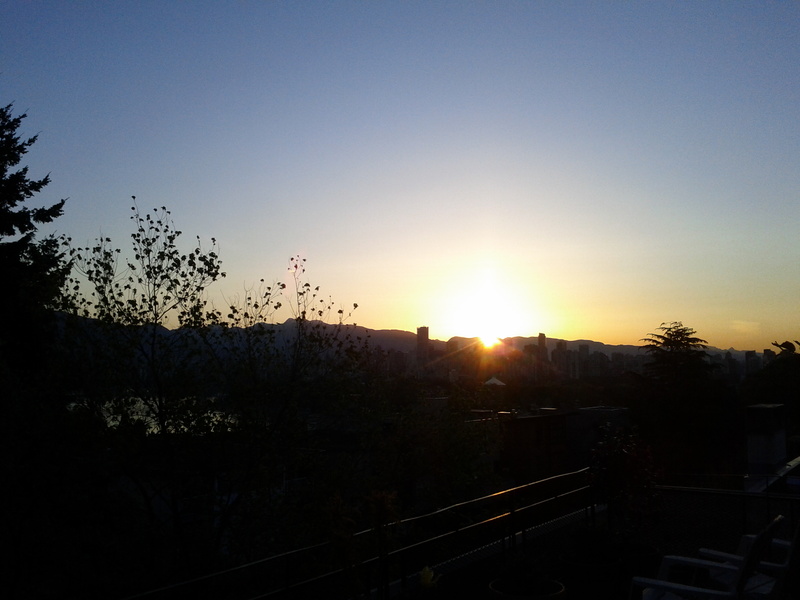 This entry was posted in Adventures, Inspiration and tagged Kitsilano, sunrise. Bookmark the permalink.